Rita Herman at age two, before adoption; she was scared of everything, especially of going through doors. Eight years later, most of the spookiness is gone. See photo later in article. Now the alphas are not the only ones that require your attentions. Betas, or sub-dominant individuals, can be in constant need of your supervision, as they often push the envelope of the pack’s serenity, and while not seeking dominance, sometimes seem to almost invite correction. 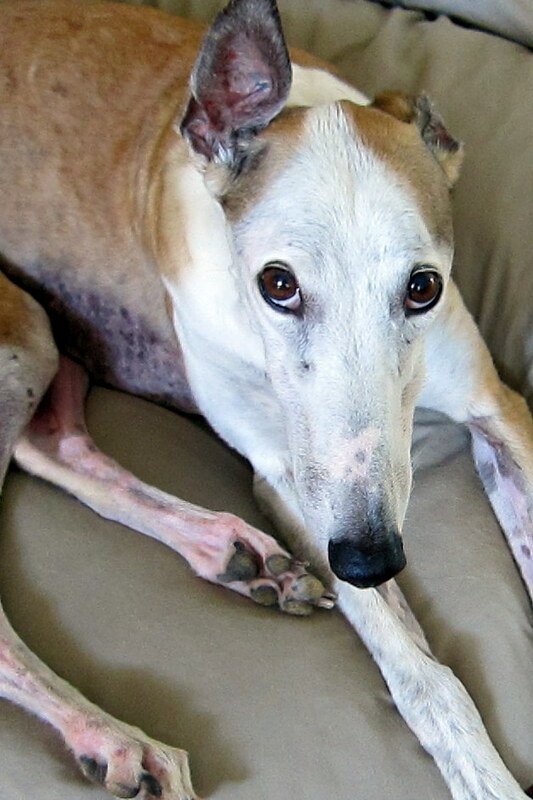 Greyhounds at the bottom of the pack hierarchy are omegas. These are often high strung, nervous, shy, retiring, submissive types, who are only followers. Sometimes this “follower” mentality results in a racer who doesn’t want to lead the pack at all. But more often, the omega personality is simply a tightly wound follower, lacking in self-confidence, readily submissive and somewhat introverted. We used to call these types “touchy” or “squirrelly”. 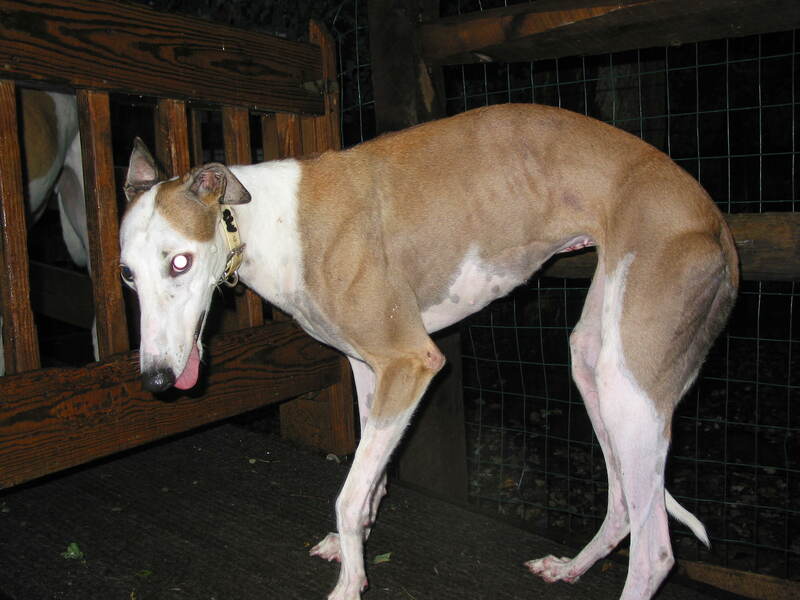 This, coupled with the greyhound’s super high-perceptivity of things within their field of vision, can make innocent movement or harmless but unknown situations, movement or objects seem very intimidating to them. Patience and calm on our part is key in dealing with these types. Rita eight years later at age 10, relaxing in the living room and brave enough to look at the camera.